Doing a tarot reading for yourself can seem quite daunting; how do you know you aren’t going to be biased and interpret the cards wrong, especially if you’re considering a reading for the future. 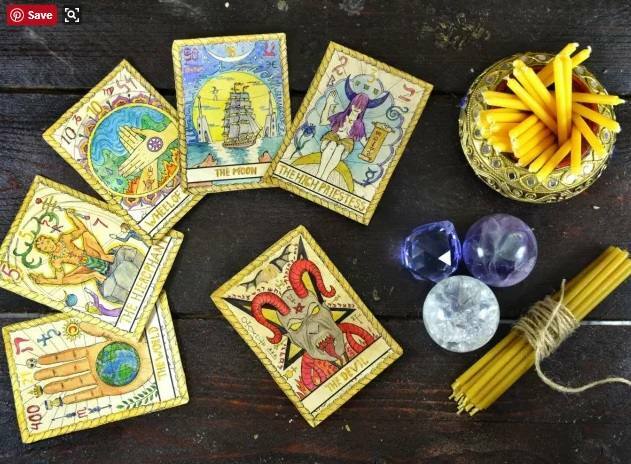 There are a few things to keep in mind when doing a tarot reading for yourself to ensure that you take the most unbiased answer that the cards are giving you. In the following post I’m going to detail some ways you can use tarot alone, as well as some mistakes to avoid! It’s best to start simple when you read tarot cards for yourself. A single card spread can be an exciting new addition to your daily life when you are unsure what to do for example. Just draw a card and treat it as a friend giving you advice. You don’t even have to take the advice if you don’t want to, just consider the possibility and go with it if it sounds good. There, you’ve successfully performed a tarot reading alone. Well done! Moving on, you can start to perform a more complex reading for yourself as you would for somebody else. This is where things can get difficult, so watch out for the following mistakes! I think we’re all guilty of this, you keep dealing a new spread until you get the answer that you want. This isn’t going to work at all! You may as well choose the cards yourself if this is what you do. Remember to be strict with yourself here, it’s only the first spread that will work as it should, any others will have too much of your personal influence. It’s no use to just interpret the cards in a whole new way just because you want them to. This ties in with the above. Don’t ignore the reading if it isn’t the result you want. Use the spread to understand why it isn’t giving you the right answer. The results of the tarot spread are just symptoms, but the actual worldly events occurring in the background are the cause. Changing the meanings of the cards will not change anything! You have to be clear and level headed when you perform a tarot reading. It’s tempting to perform a tarot reading for yourself when you’re in a very low state in order to see a good potential outcome in the future but I wouldn’t advise this at all. If you don’t get the answer you seek it could push you even lower. Perform tarot readings only when you can deal with a bad outcome. Tarot reading for yourself is as good a skill to learn as reading for others, and is good practice when you have nobody else to read for. Performing a daily or weekly reading will help you learn the card meanings if you’re still in the process of learning. If you’re a more advanced student, then it’ll keep you fresh and you’ll learn how the cards connect. The more readings you perform, the more connections and relations you’ll see between the cards. If you’ve performed a tarot card reading for yourself recently, leave a comment below and tell us what happened!